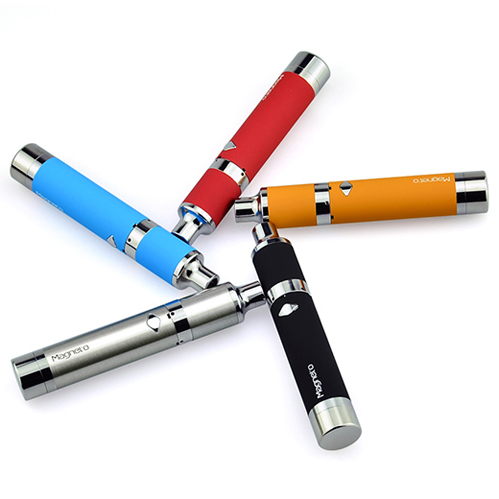 The Yocan Magneto is a cutting-edge device for use with thick aromatherapy oils that offers the utmost of convenience for quick and discreet sessions on the go. 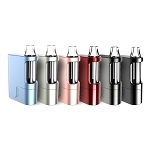 The Magneto's heating attachment replaces the traditional thread design with an innovative magnetic connection between the attachment cap and base. This removes the constant hassle of trying to match together residue filled threads and replaces it with a simple process that allows you to open, refill and reassemble the device in just a moment's notice. 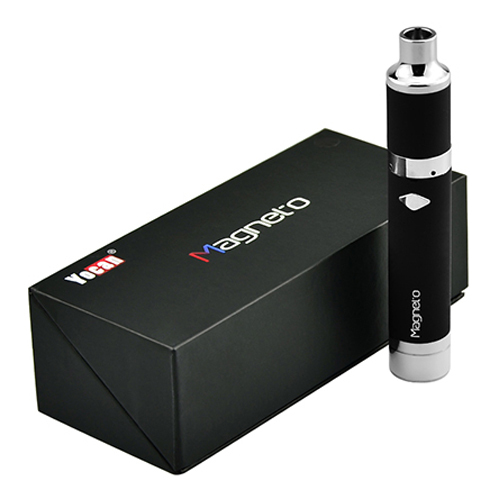 Yocan's Magneto device utilizes a unique dual layer ceramic heater head to quickly heat with the simple touch of a button. The initial ceramic layer will apply a slight amount of heat in order to create an ideal consistency, from here your material will transfer through to the second layer where it is thoroughly heated, creating a strong and clean-tasting aroma. 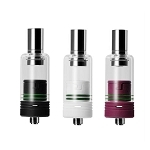 Yocan includes an innovative multi-functional heater head cap that helps to minimize waste while also aiding in the filling process. As you heat thick material it may become thin and begin splattering throughout the device, with this cutting-edge magnetic attachment cap all will remain inside the heater head to ensure every last bit goes to use. The magnetic heater head cap not only helps to minimize waste, it also doubles as a helpful filling tool that is always by your side as long as you have your Magneto. Simply remove the cap from the Magneto device, push it's bottom side into your material, the precision cut design will pick up the perfect amount every time. Once you have gathered an ideal amount, place the Magneto cap back into place and the internal magnets will create a strong and secure connection. 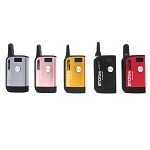 Yocan's Magneto device also comes equipped with a long-lasting 1100mAh lithium-ion battery that features a user friendly one button operation, perfect for discreet use on the go. This battery features an ultra convenient micro-usb charging method and it comes equipped with a built in non-stick silicone storage jar to allow you the opportunity to keep some extra material with you without having to carry around a pocket full of accessories. Very nice pen and for the price you can't beat it.the only thing I'm worried about is when you pull the lid off the container it pulls the heating element up with it and I'm worried it may damage the coil after awhile but other then that's it's great!when you pull from it you don't splatter your wax all over plus it concerves and hold your wax in the right spot so it heats it all instead of spattering all over the place. Super smooth clean clouds. Add the built in dab tool and silicon case. This is the best wax pen I have ever used. Super quick shipping, I received my item 5 business days from my date of purchase. 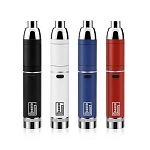 I've used other products by Yocan that worked well. In fact the original Evolve is STILL my go-to vape pen. This unit, though laudable in it's design just can't lift off the pad when it comes to performance. Sure, I can load up the nifty tool (taking out 10% of my stash) and rip off a cloud or two-but my original Evolve is ripping cloud after cloud cumulus. The effect on your stash is catastrophic with this pen. If it does not vaporize the material on the way 'through' the element, it just sits in a bowl like area below and dries out without effect. Returned the three others I got as gifts and ordered the Evolve plus. It seems to be closest to the original.